There are many convenient uses for a speech to text function, but mostly it is best for computer users who are having trouble with the keyboard. 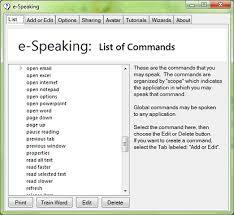 A speech to text software allows the individual to voice out commands straight to the computer, so that work is easier, smoother and faster. 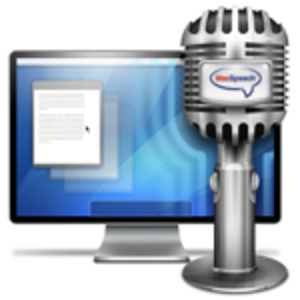 ATMac’s speech to text software is a special dictation system for use on Mac OS. Talk to your computer for full command and control; simply pre-program your commands so that your system will recognize it for your purpose. Use it for chatting, writing emails or creating documents. It recognizes a number of English dialects and accents including American, Northern Ireland, Southern, Australian, British, Southeast Asian, Latino and Indian. If you are doing a lot of typing and you would like to save in time and effort, DeskShare’s Dictation Pro is a free speech to text software. It boasts excellent 100% voice recognition accuracy and allows quick voice formatting for certain commands, so you can work with ease and function. 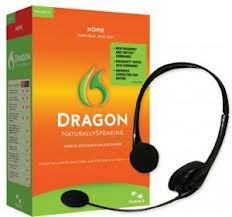 The Dragon Speech Recognition Software for PC and Mac users offers you the convenience of speech to text functions in the easiest and most accurate way possible. It is perfect for personal or professional use—your work will be faster because voice is 3x faster than typing and allows for ease in multitasking. Apply it on any program you use; with Dragon, you do not have to use your keyboard ever again. 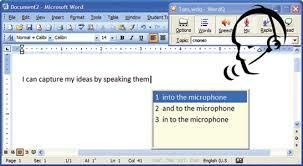 e-Speaking is a speech to text software that showcases the latest Microsoft technologies. It runs in various Windows OS, it is lightweight and is built-in with over 100 commands to make your work smoother and faster. 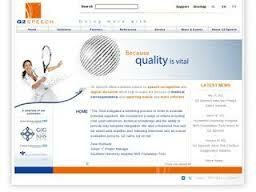 G2Speech is a highly specialized speech to text software that is designed for the legal and medical industry. Like most speech to text systems, it allows simple voice recognition to transmit data and commands to computer, but with specificity in the medical and legal field. 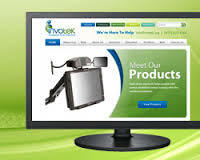 Invotek is a specialized speech to text software that is useful for those with compromised speech functions. It comes with a collection of 500 words and may still be inputted with more. Unlike most systems, it will require you to type in the first letter of the word, so it does not function as quickly. However, the first letter provides a clear cue for better recognition and use. SpeakQ is a speech-to-text software that also offers suggestions for pronunciation. It is highly tolerant to various types of speech and permits the combination of typing and speaking, when needed. It is available in French, Spanish, German and English. Unfortunately, you will need to download WordQ first before you could use SpeakQ because it is merely a plug-in. This speech to text software also conveniently comes with a text to speech function, so that you can command your computer to read to you. It has a “user commands” feature that allows you to input various word commands, so that you can maximize the function of your system. Use it to play music, browse online, open files, start programs, play games and so much more—computer use has never been this simple and fun. 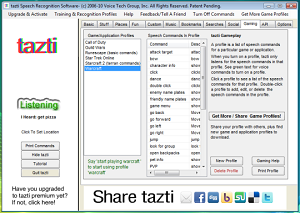 Tazti is a versatile speech to text software that you can enjoy for work, personal functions and even gaming. Turn your computer into a robotic slave that is ready to work for you anytime. It saves you time and preserves your hands from carpal tunnel, fibromyalgia, tendonitis and so forth. It is built with 25 ready commands for you to use and is capable of learning 300 new commands for you. It is fully-customizable and works well with Windows 7 and 8. 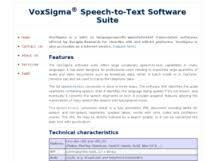 This is a language-specific speech to text software that boasts a very extensive vocabulary, with functions that are more applicable to audio or video speech transfer. It is available in Arabic, Spanish, Dutch, Romanian, English (UK and US), Portuguese, French, Finnish, Polish, Mandarin, Greek, Italian, German and they are still in the process of developing the system in other language formats. 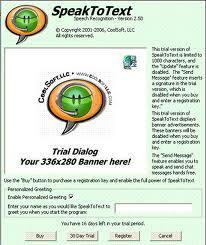 A number of people could find a speech to text software useful. To someone without a physical impairment, it permits convenient multitasking when necessary. Do you think that a speech to text function is going to be useful to you? Download your system today!